The importance of post-release employment in the reduction of reoffending is clear. However, in order to increase an individual's chances of building a better life for themselves after release, access to education and skills training whilst in prison is vital. Education in custody does not just give people the opportunity gain qualifications that will allow them to gain work once they've left prison. It enriches a prisoner's experiences, improving their self-esteem and giving them the chance to reach their full potential and choose a more constructive way of life. Prisoners' Education Trust (PET) has a simple aim: to help people achieve their potential through learning. It recognises the importance of education for prisoners, allowing them to choose and achieve crime-free lives. 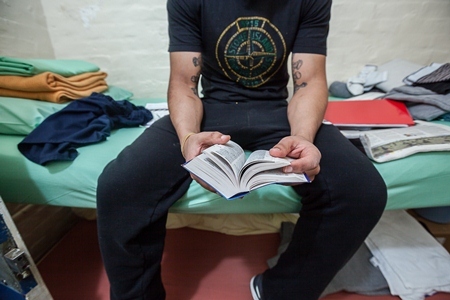 PET plays two major roles in the education of prisoners. The first is the provision of funding, support and advice. The Access to Learning programme helps around 2,500 prisoners each year gain access to and study distance learning courses in subjects and at levels not otherwise available in prison, offering expert advice and guidance to all learners and the staff who support them. Currently, PET is the only charity working nationally to support prisoners to obtain qualifications through distance learning. The Access to Learning programme is the core of PET's work and since its foundation in 1989 has supported over 34,000 prisoners across England and Wales. PET has also just begun facilitating links between prisons and universities through the PUPil network, bringing university students into the prison environment to learn together with prisoners who are interested in the same subject in the hope that the learning experiences of students both inside and outside prison will be transformed. The second major role that PET plays in the education of prisoners is that of championing prison education. PET works to influence policy and practice so that prison education becomes more effective. This is done in a variety of ways. PET carries out original research, finding out what does and doesn't work in prison and capturing the views of prisoners and former prisoners. Briefing documents and recommendations are produced in order to inform the public, parliament and the media about the benefits of rehabilitation through learning. PET was on the expert panel for Dame Sally Coates' review of prison education, which looks to be the most important change to education policy in a number of years. PET has collaborated with prisoners and former prisoners to ensure that their voices are heard; they refer to this as the 'Learner Voice'. Their aim is to empower learners, finding ways of listening to their concerns, interest and needs in order to develop a more learner-focused model of education. Reports on youth justice and the broader benefits of education published this year by PET are two examples of the way in which they use the views of learners and former learners to develop their ideas about education. PET has also collaborated with other organisations in the field. The Prisoner Learning Alliance was created by PET in 2012 as a way of sharing expertise, bringing together expert charities, research bodies, universities and businesses. PET also builds international networks with practitioners, researchers and organisations to ensure that the UK continues to learn from other countries. 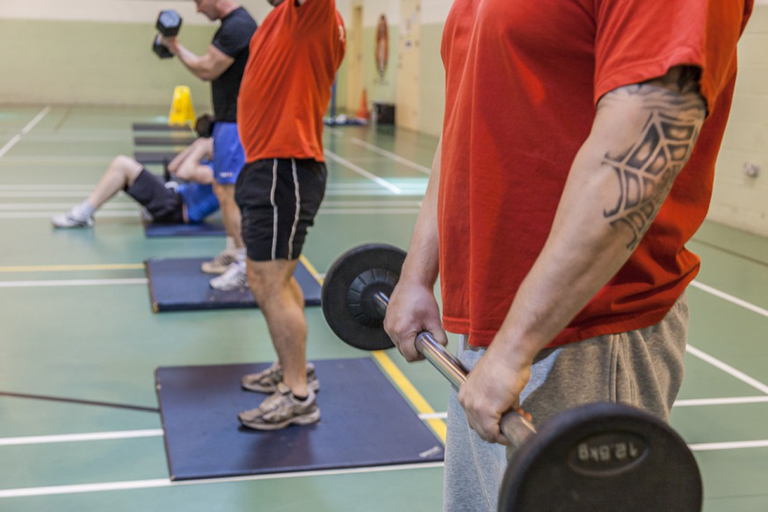 Neil, a PET learner, shares how he went from involvement in organised crime to working for a major gym chain. “From a young age I was constantly in trouble with the Old Bill. I never wanted to work so education didn't matter for me. I never got to sit my exams as I was sent to Feltham Young Offenders' Institution at a young age. I gradually got involved in more organised crime and received 10 years for bank robbery. Later I got another 11 years for doing the same thing but armed. I'd spent so long in jail I was falling behind in life, so I had to come up with a plan. I also needed help, but I didn't have a clue what was available to us prisoners. What I knew is that I liked the gym and was good at it, and had passed a few gym courses as I worked as a gym orderly. That's when a physical education instructor told me about the distance learning Open University Access courses funded by PET. I applied to PET to do an Introduction to Sport, Fitness and Management course. It was quite straight forward getting everything set up, and it was funded which was an added bonus. It took me two years to do. It was hard and it did take real concentration to get through, but I needed to guarantee I could work as a personal trainer on release. I knew that when I got out I needed to keep busy and earn money, and this kept me motivated." "After serving nearly 12 years I have now been out for five months and have had so many job interviews. They were all impressed by my qualifications, and this month I started a job as a personal trainer in a major gym chain. The qualifications made a massive difference as I have plenty of routes to earn money within the gym." The educational opportunities that PET provides allow individuals to invest in their futures and to see a life beyond their prison sentence.